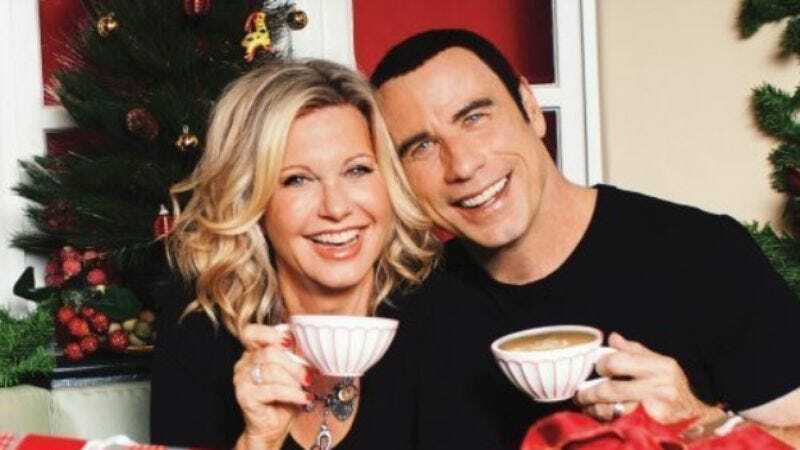 In possible good news for John Travolta and Olivia Newton-John up there, a new study shows that 12 percent of American consumers have purchased or plan to purchase music for someone on their gift list this holiday season. Those music buyers also plan on forking over 18 percent more than they did on music last year, the biggest increase in spending in all retail categories. Impulse buying and in-store browsing account for 42 percent of all holiday CD purchases, making Walgreens' Taylor Swift mini-store that much more sensible for the company. Some 32 percent of Walmart's CD sales come from impulse buyers, as do 25 percent of Amazon's.